When putting together a great home theater system, a subwoofer is a necessary purchase. The subwoofer is a specialized speaker that is designed to reproduce extreme low frequencies. For music, that means that acoustic or electric bass, and more movies that means the rumbling of a train running down railroad tracks, cannon fire and explosions, and the big test: the deep rumbling of an earthquake. However, before you can enjoy it all, you have to integrate the subwoofer with rest of your system, and how you connect a subwoofer to the rest of your home theater setup depends on whether it is Passive or Powered. Passive subwoofers are called "passive" because they need to be powered by an external amplifier, in the same fashion as traditional loudspeakers. The important consideration is that since subwoofers need more power to reproduce low-frequency sounds, an amplifier or receiver needs to be able to output enough power to sustain bass effects reproduced by the subwoofer without draining the receiver's or amplifier's power supply. How much power depends on the requirements of the subwoofer speaker and the size of the room (and how much bass you can stomach, or how much you want to disturb the neighbors!). Just as the rest of the loudspeakers in a home theater setup, you connect speaker wire from an amplifier to the passive subwoofer. Ideally, you should first connect the subwoofer line outputs of a home theater receiver or AV preamp processor, to the line inputs of an external subwoofer amplifier. You then connect the speaker outputs on the subwoofer amplifier to the speaker terminals on the passive subwoofer. Passive subwoofers are primarily used in custom installations where the subwoofer may be mounted in a wall, although there are some traditional cube-shaped subwoofers that are also passive. In addition, some inexpensive home-theater-in-a-box systems incorporate a passive subwoofer, such as the Onkyo HT-S3800. To solve the problem of inadequate power from a specific receiver or amplifier, Powered Subwoofers (also referred to as Active Subwoofers) are utilized. This type of subwoofer is self-contained. It features a speaker/amplifier configuration in which the characteristics of the amplifier and subwoofer speaker are optimally matched and encased in the same enclosure. As a side benefit, all a powered subwoofer needs is a single cable connection from a home theater receiver or surround sound preamp/processor line output (also referred to as a subwoofer preamp output or LFE output). The cable then goes from the sub preamp/LFE output to the corresponding input(s) on a powered subwoofer. This arrangement takes a lot of the power load away from a receiver and allows the receiver's own amplifiers to power the mid-range and tweeter speakers more easily. 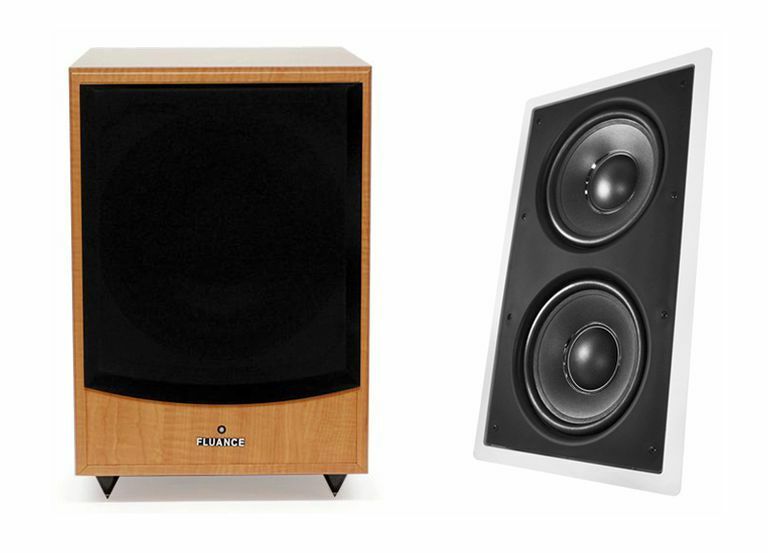 Which is Better — Passive or Powered? Whether a subwoofer is passive or powered isn't the determining factor on how good the subwoofer is. However, Powered subwoofers are by far the most commonly used as they have their own built-in amplifiers and are not dependent on any amplifier limitations of another receiver or amplifier. This makes them very easy to use with today's home theater receivers. All home theater receivers come equipped with either one or two subwoofer pre-amp line outputs that are specifically designed to connect to a powered subwoofer. On the other hand, the external amplifier required to run a passive subwoofer may be more expensive than the passive subwoofer you have. In most cases, it is more cost effective buy a powered subwoofer in place of a Passive Subwoofer. If you still choose the passive option, the subwoofer pre-out from a home theater receiver has to connect to the external subwoofer amplifier's line-in connection, with the external amplifier's subwoofer speaker connection(s) going to the passive subwoofer. The only other connection option is that is available for a passive subwoofer is that if the passive subwoofer has in and out standard speaker connections, you can connect the left and right speaker connections on a receiver or amplifier to the passive subwoofer and then connect the left and right speaker output connections on the passive subwoofer to your main left and right front speakers. In this type of setup, the subwoofer will "strip off" the low frequencies utilizing an internal crossover, sending the mid-range and high frequencies to the additional speakers connected to the subwoofer's speaker outputs. This eliminates the need for an extra external amplifier for the passive subwoofer but may put more strain on your receiver or amplifier because of the demands for low-frequency sound output. Many powered subwoofers have both line input and speaker connections. This enables it to accept signals from either an amplifier's speaker connections or an amplifier/home theater receiver subwoofer preamp output connection. However, in both cases, the incoming signal goes through powered sub's internal amps, taking the load off the receiver. This means that if you have an older home theater receiver or amplifier that does not have a dedicated subwoofer preamp output connection, you can still use a powered subwoofer with both standard speaker connections and line inputs. Another subwoofer connection option that is getting more popular (only works with powered subwoofers) is wireless connectivity between the subwoofer and the home theater receiver or amplifier. This can be implemented in two ways. When the subwoofer comes with a built-in wireless receiver and also provides an external wireless transmitter that plugs into the subwoofer line output of a home theater receiver or amplifier. You can purchase an optional wireless transmitter/receiver kit that can connect to any powered subwoofer that has a line input and any home theater receiver, AV processor, or amplifier that has a subwoofer or LFE line output (see connection example for one kit below). Before purchasing a subwoofer to use with your home theater, check to see if your home theater, AV, or surround sound receiver has a subwoofer preamp output (often times labeled Sub Pre-Out, Sub Out, or LFE Out). If so, then you should use a powered subwoofer. Also, if you just purchased a new home theater receiver, and have a left-over subwoofer that originally came with a home-theater-in-a-box system, check to see if that subwoofer is actually a passive subwoofer. The giveaway is that it does not have a subwoofer line input and only has speaker connections. If so, you will need to purchase either an additional amplifier to power the subwoofer.